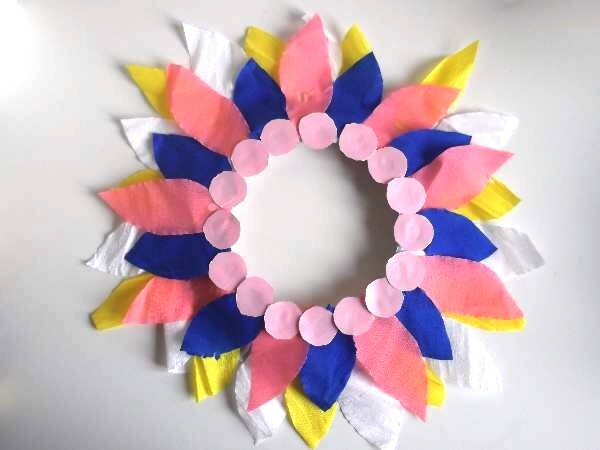 Try these easy preschool spring craft projects to engage the very young in arts and crafts for fun play. 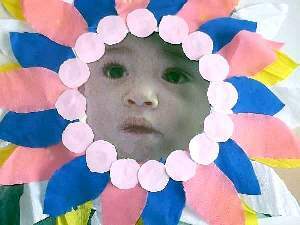 Flower masks are a good idea because they keep the face uncovered and the kids will love pasting on the different colored petals. 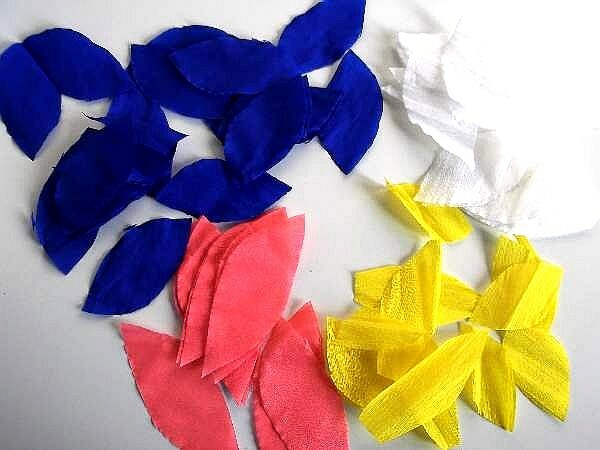 Use crepe or tissue paper to cut out petal shapes in different colors which can be spread out on the table or placed in shallow containers. Add some paper and felt shapes for a simple look and feel effect. 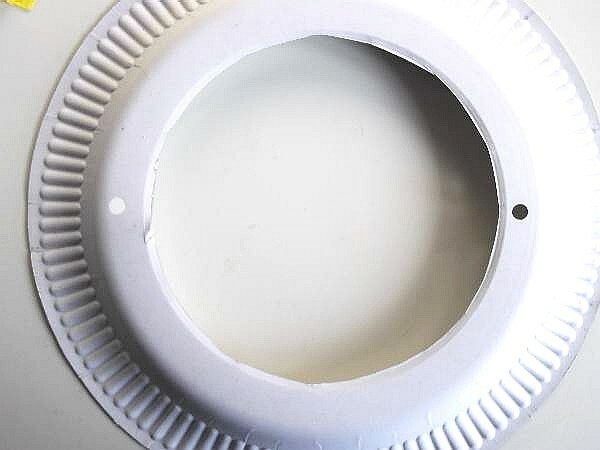 Give each child a paper plate with the center cut out and removed, and punch two holes in the sides for the elastic to thread through. 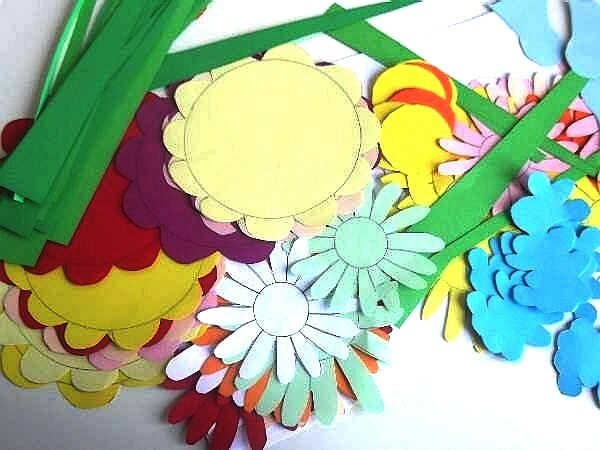 Help the children who need assistance to glue on the petals and shapes. Our next preschool spring craft will delight the children and heighten there awareness of nature and color during this lovely time of year. Children in general love group activities and this super wall mural is easy for every child to participate in. This part is too difficult for preschoolers but can be an activity for older children who are skilled at using scissors. The younger children can get busy filling in flower centers with whatever materials you provide and sticking them onto the mural. 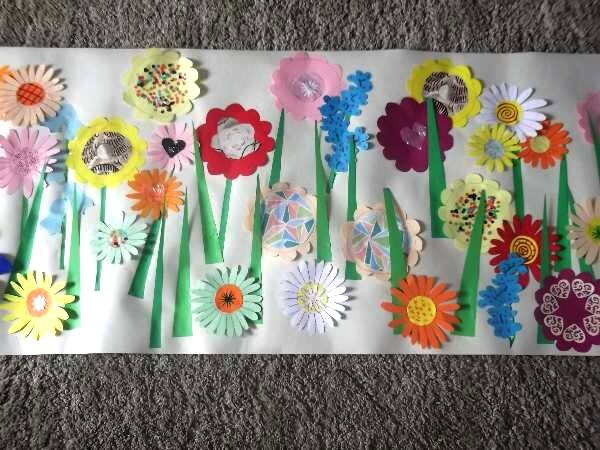 The flowers can alternatively be printed on white paper and colored in by the children, or printed on colored paper. Some printers will not print on blue and some red colored paper. If that happens, try printing in draft which is better anyway as you save on ink. 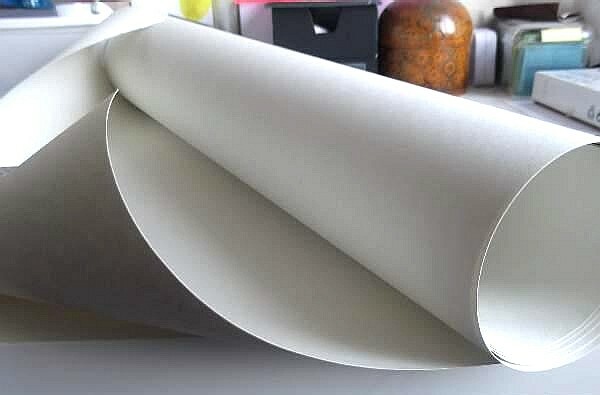 Use a roll of 18" paper but not more than 24" and cut it to what length you require according to how many children will be working on it. This can be pinned to the wall or laid flat on low tables or the floor. Give the children a choice of materials to fill the flower centers. They can use fabric, cut outs from magazines and wrapping paper, flat sponge shapes, sequins, felt, tissue paper, paint or felt tip pens. The more variety you provide for them, the more creative they can become. Use PVA glue as this is easily removed from clothes and work surfaces and does not irritate the skin.